I have tried meal prepping so many times but I always end up wanting to cook dinner. I look forward to that time in the kitchen listening to music, chopping, stirring, sautéing… it is my time and I love it. But as nap times getting shorter and the baby gates falls to the onslaught of toddler hordes, I don’t have as much time to put into dinner. So, lately, I have been prepping some of the ingredients instead of whole meals. One of my favorite things to keep in the refrigerator is roasted chicken breasts. I make a few on Sunday and am ready to toss together salads, pasta, or tacos in less than thirty minutes. 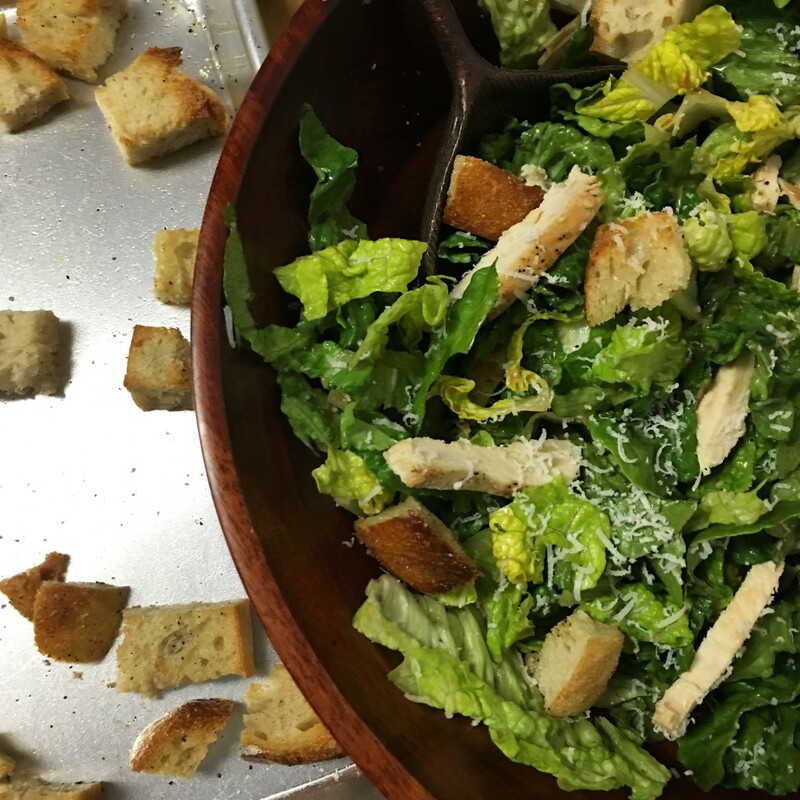 A favorite of ours is this salad; crisp romaine lettuce, roasted chicken, shaved manchego cheese, fresh baked croutons, and creamy balsamic dressing. 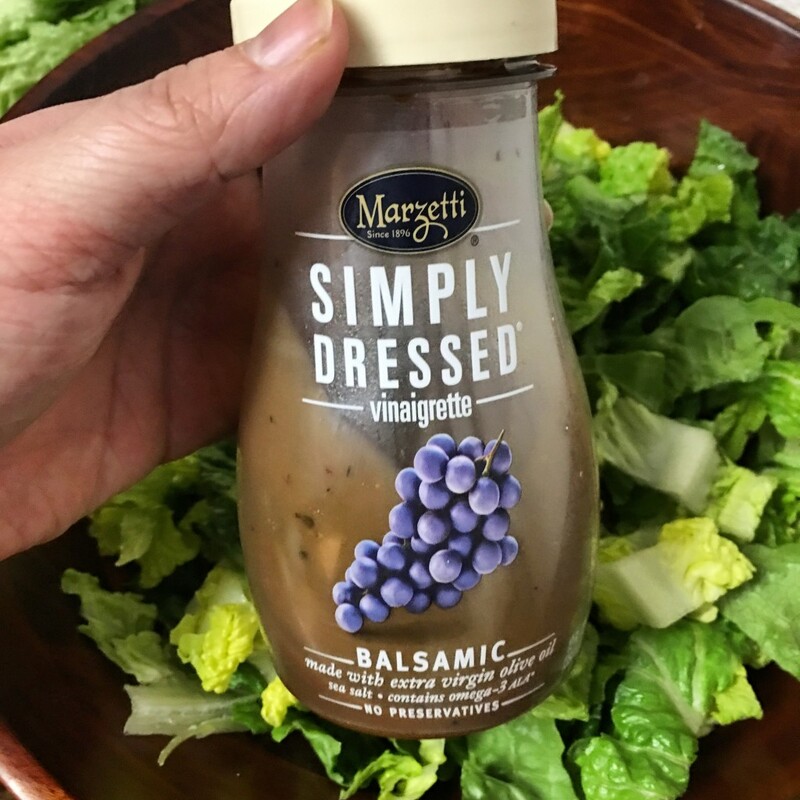 Simple delicious perfection. 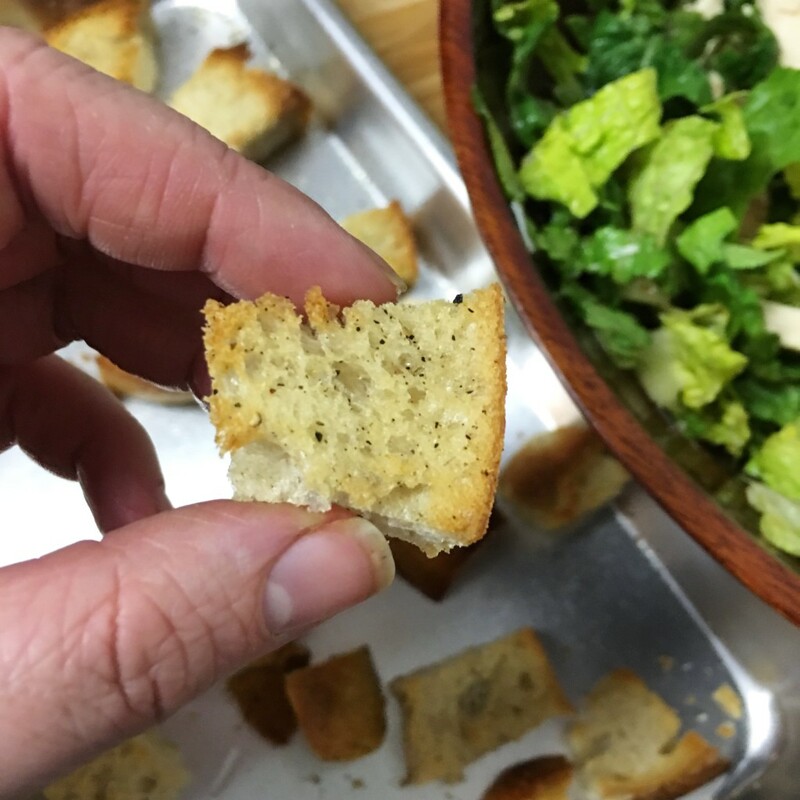 In a medium bowl toss cubed bread with olive oil, salt, and pepper. 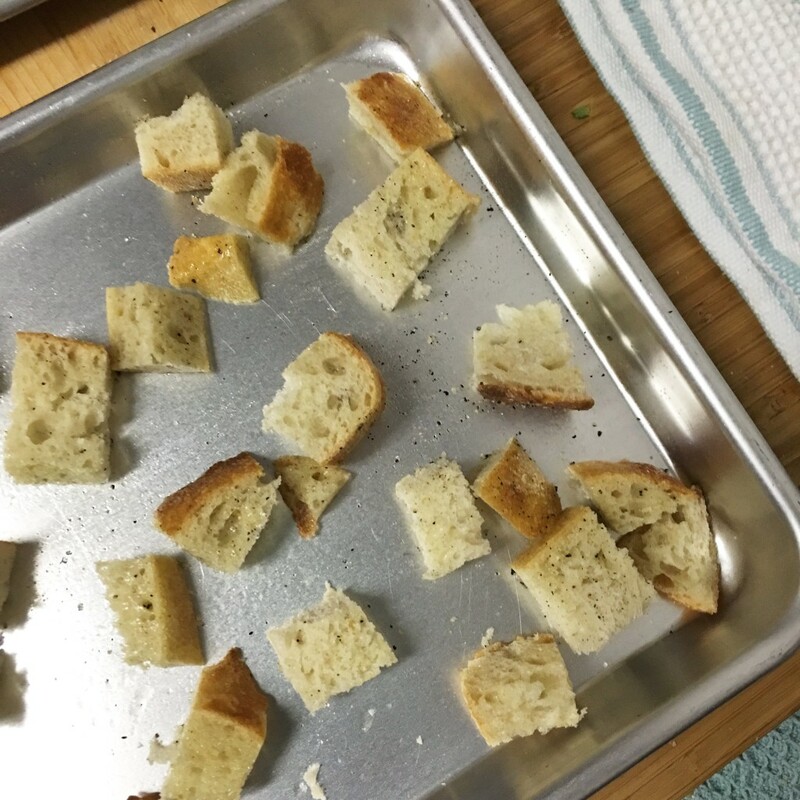 Spread seasoned bread out evenly on a 1/4 sheet pan. 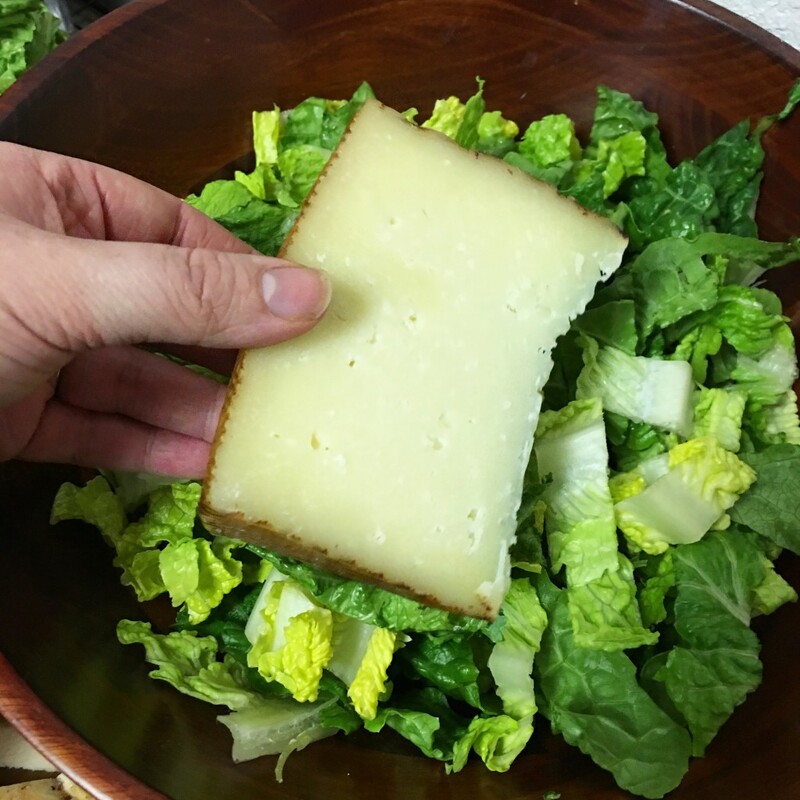 In a large bowl use tongs to toss romaine lettuce with dressing. Add chicken, cheese, and croutons.